1- Basset Hounds usually howl when they're left alone for long periods of time. 2- They were originally bred for hunting small game. 3- The male Basset Hounds (when adult) usually weigh from 55-75 lbs. 4- Basset Hounds should be brushed every week so they won't shed hair as much. 5- The Basset Hound's coat is made to be used in all weather conditions. 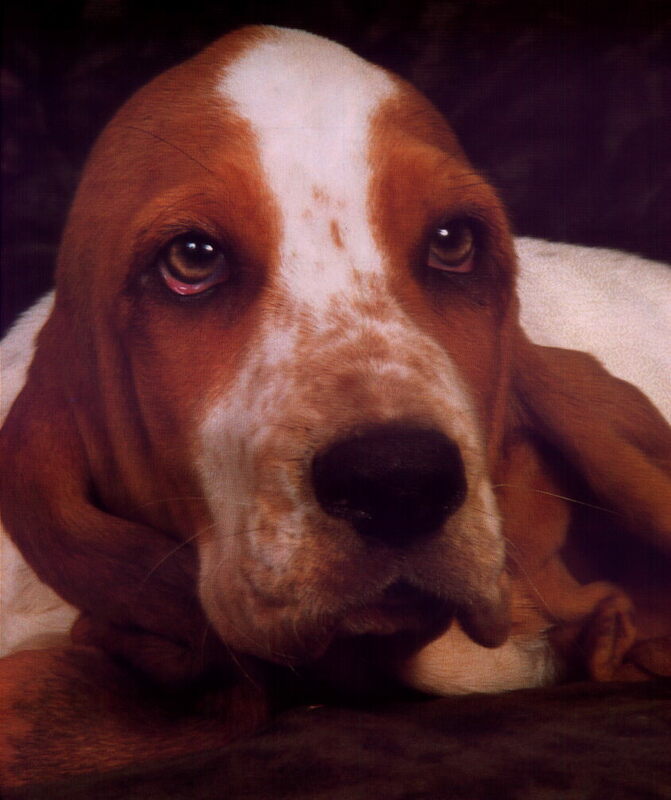 6- A Basset Hound's ears were created to hold the scent of the animal they're hunting for its strong nose to smell. 7- Since a Basset Hound has large paws, it is most likely to have disorders in the paws, like fungus infections between the toes. 8- The Basset Hound is short-legged and has heavier bones (considering its size) than any other dog. 9- The Basset belongs to the Hound group. 11- Bassets have a tendency to get fat because their sad look makes their owners feel bad for them and feed them more than usual. 12- When Basset Hounds become fat, it may result to back problems or heart trouble. 13- The inside of a Basset Hound's ears should be cleaned once a week.